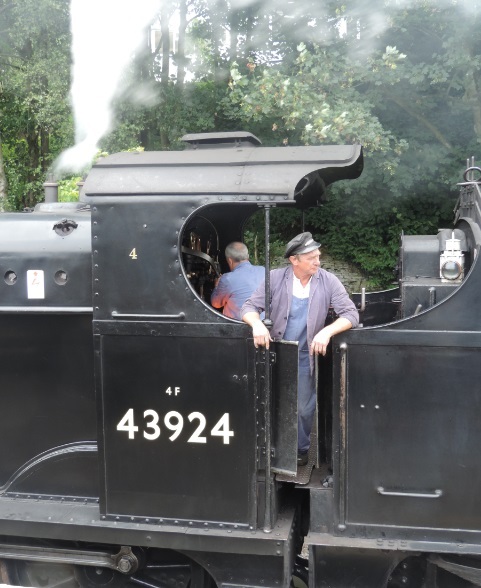 Tonight we have a great story from retired Engine Driver John Anthony, who recounts how a rule had to be broken to become a steam locomotive driver. So without further ado, here’s something that might come as a surprise to some! Please note that the picture is just for illustrative purposes. In the hickory dickory days of steam railways, a fireman was forbidden to drive a steam locomotive, so, it was possible that a fireman could go for his driving test, with a footplate inspector, having never driven a steam engine!!! Of course, drivers let their firemen “have a go”, till senior firemen were just as competent as they were, but it was still against the RULES! Railway management turned a “blind eye” if they witnessed a fireman driving and a driver firing, Just imagine, folks, going for your vehicle driving test having never driven the said vehicle. Still, RULES ARE RULES! Thanks for the comment, just to add that the picture is there only there for illustrative purposes!